Description NU7441 (KU-57788) is a highly potent and selective inhibitor of DNA-PK with IC50 of 14 nM and also inhibits PI3K with IC50 of 5 μM. To investigate the effects of NU7441 on the cell cycle phase distribution, LoVo and SW620 cells were treated with NU7441 for 16 hours, with and without 2Gy ionizing radiation or coincident 16 hours of exposure to etoposide or doxorubicin, by flow cytometry. 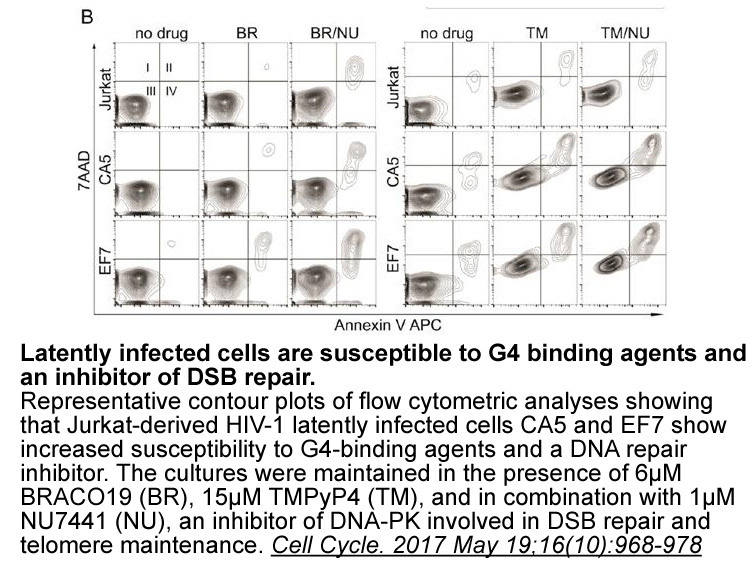 NU7441 alone caused a modest 15% increase in G1, with consequent 24% reduction in the S phase in p53 mutant SW620 cells. 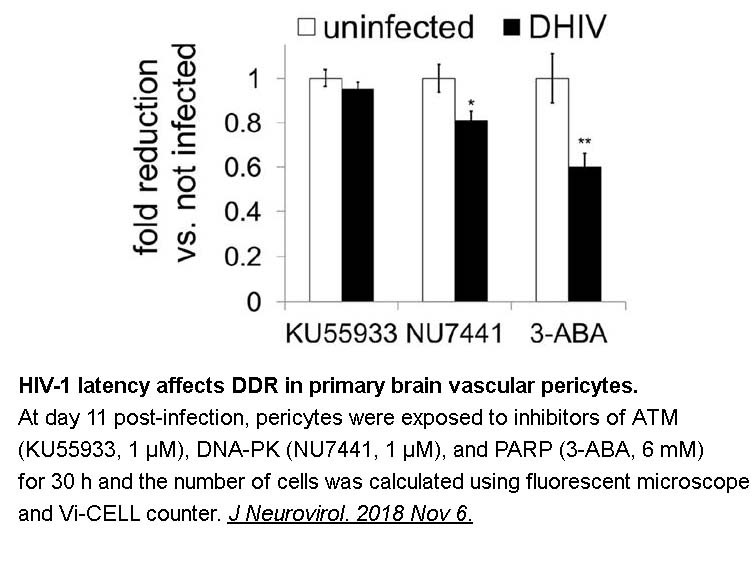 In the p53 wt LoVo cells, NU7441 caused a more substantial 54% increase in G1 and 72% decrease in S phase in accordance with its pronounced growth inhibitory effect in this cell line. Mice were treated with normal saline (contro animals), single agent NU7441 (dissolved in 40% PEG 400 in saline), or etoposide phosphate (11.35 mg/kg in saline) i.p. daily for 5 days. For combinations, NU7441 was given immediately before etoposide phosphate. Tumors in control mice reached four times their starting volume (RTV4) at a median time of 5.6 days (i.e., time to RTV4 = 5.6 days). Treatment with etoposide phosphate alone caused a tumor growth delay of 2.7 days (time to RTV4 = 8.3 days), which was extended to 5.4 days (time to RTV4 = 11 days, P = 0.0159 compared with etoposide alone) by coadministration of NU7441. Thus, NU7441 enhanced etoposide phosphate efficacy by 100%. Zhao Y, Thomas H D, Batey M A, et al. 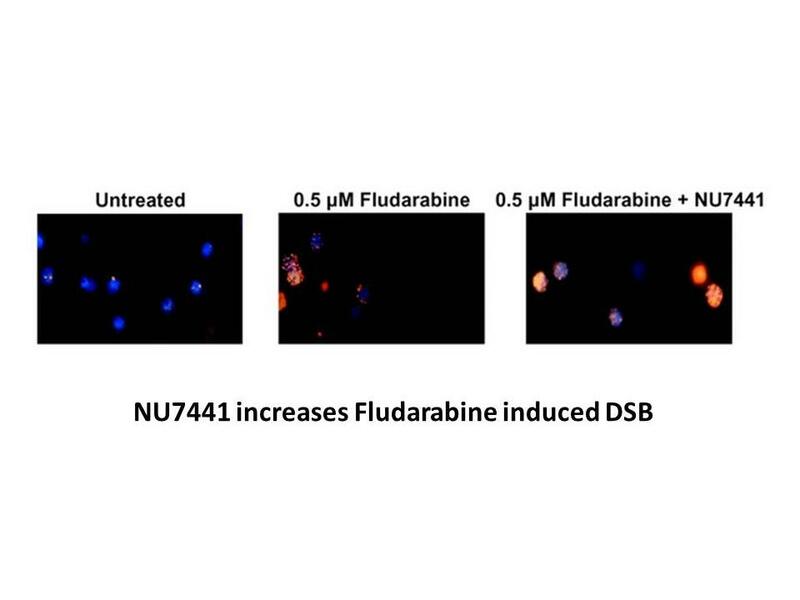 Preclinical evaluation of a potent novel DNA-dependent protein kinase inhibitor NU7441. Cancer research, 2006, 66(10): 5354-5362. NU7441 is a selective inhibitor of DNA-dependent protein kinase (DNA-PK) with IC50 value of 13 nM . 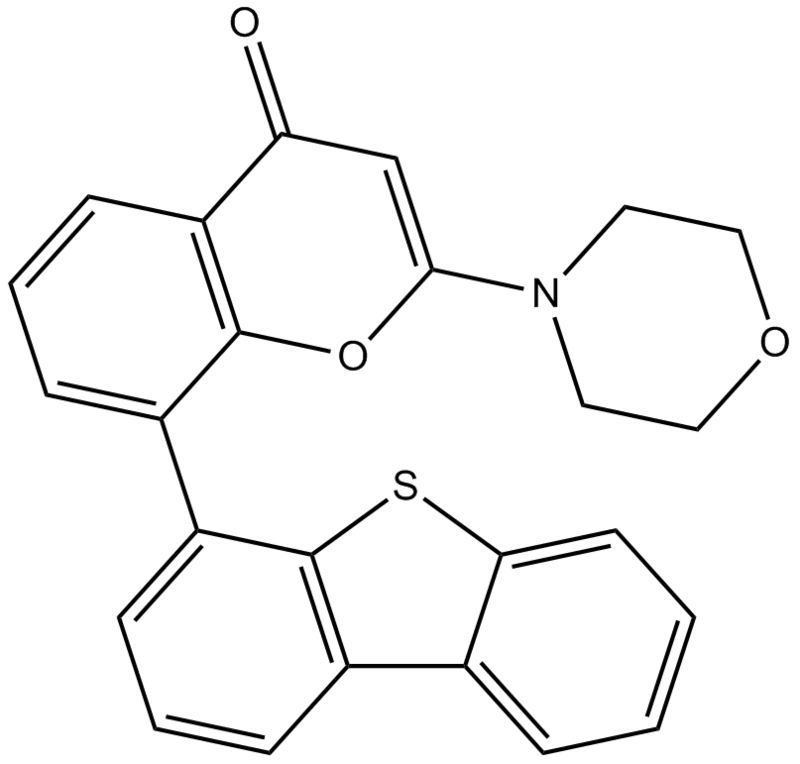 NU7441 is an ATP-competitive inhibitor of DNA-PK and showed a Ki value of 0.65 nM. The inhibition of DNA-PK was selective. 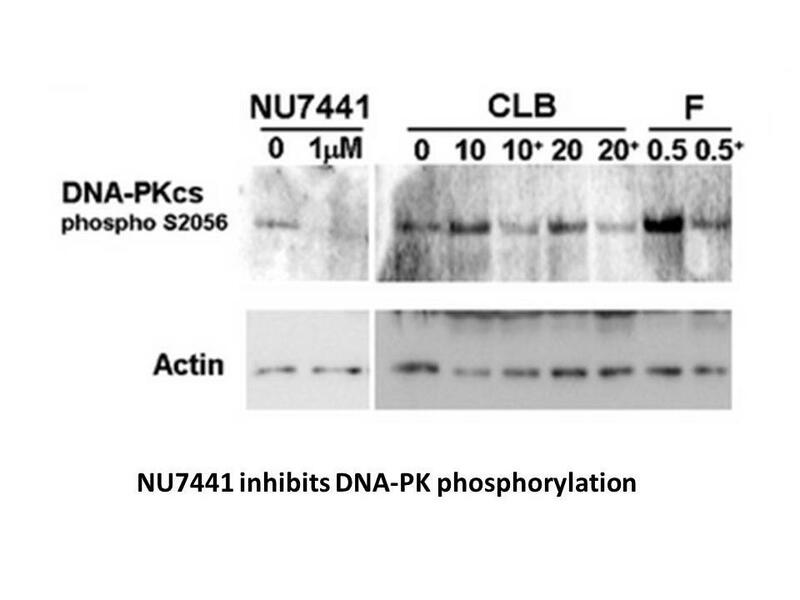 NU7441 showed no inhibition effect on the DNA-PK-related enzymes ATM and ATR at concentration of 100 μM. For mTOR and PI3K, NU7441 exerted inhibition activities with IC50 values of 1.7 and 5 μM, respectively, which were about 100-fold higher than the IC50 value of DNA-PK. 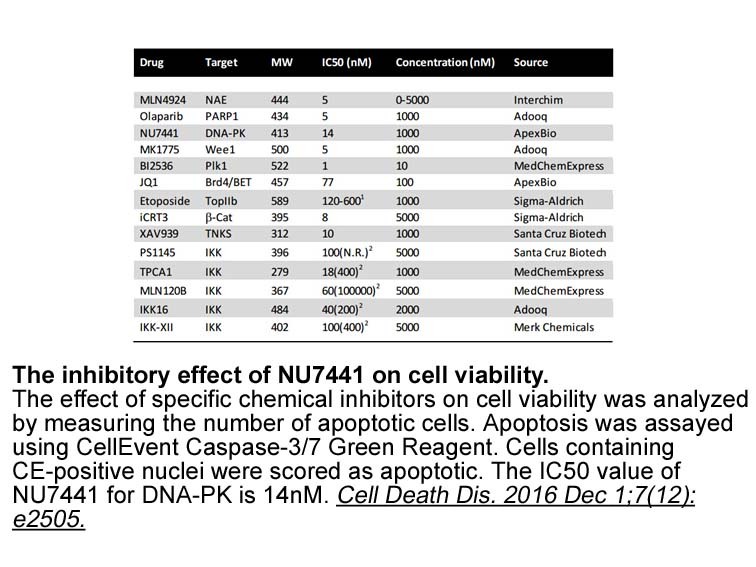 In HeLa cells, treatment of NU7441 at concentration of 100 nM significantly enhanced the sensitivity of cells to etoposide and promoted cells to death. 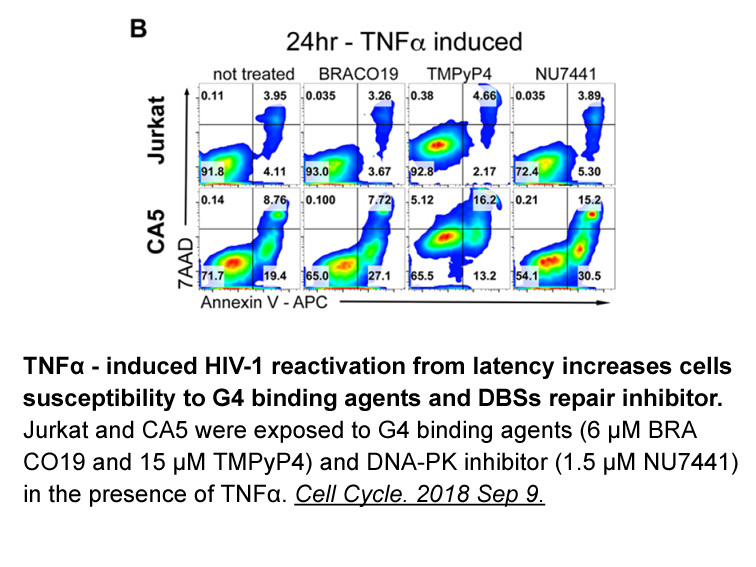 In mice bearing SW620 xenografts, coadministration of NU7441 and etoposide caused a tumor growth delay of 5.4 days which was twice longer than that caused by etoposide alone [1, 2]. Hardcastle I R, Cockcroft X, Curtin N J, et al. Discovery of potent chromen-4-one inhibitors of the DNA-dependent protein kinase (DNA-PK) using a small-molecule library approach. Journal of medicinal chemistry, 2005, 48(24): 7829-7846.